This package contains a bunch of useful helpers that can be used to simplify computed properties. Instead of creating your own filters use these helpers to get a sum, check if an array is empty, or countBy a key of an object. 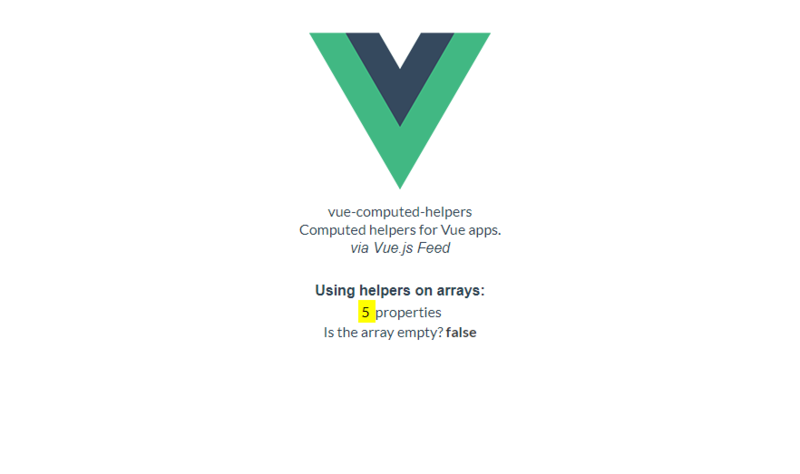 There are currently 22 Computed helpers for Vue apps to use with computed properties, the full list is available here. Where x means that it can be either value or property name. If you provide a string and there will be a property with that name it's value will be used to perform the check. To start working with the computed-helpers use the following commands to install it. That's it! 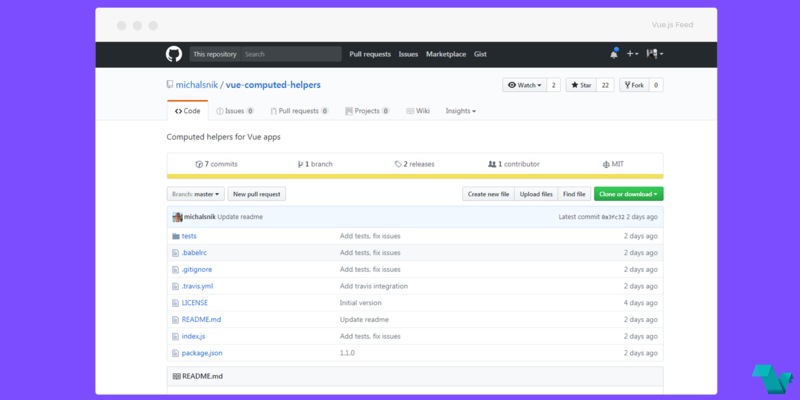 If you would like to get started with vue-computed-helpers, head to the project's repository on GitHub, where you will also find the source code. Created and submitted by @michalsnik.